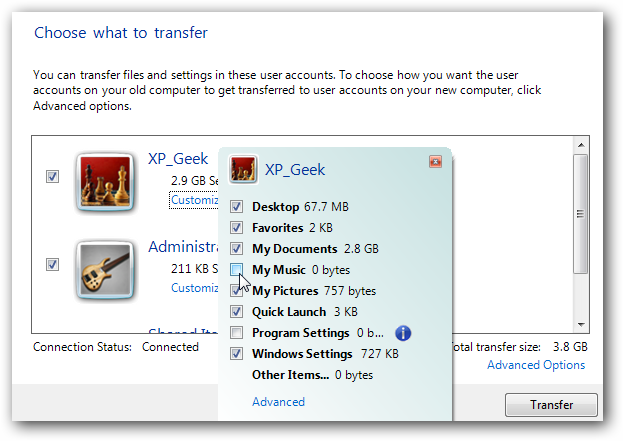 If you get a new computer with Windows 7 and your current machine is running XP, the thought of transferring your files and settings can be quite daunting. 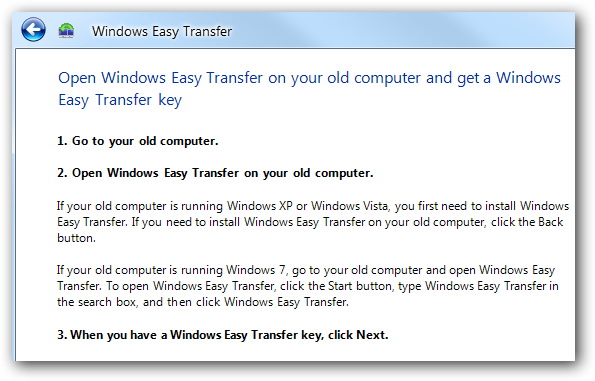 Microsoft has created a program called Windows Easy Transfer that is already included in Vista and can be download for XP and 2000. Here we will take a look at the process of using it to transfer files and settings from an XP machine to the new Windows 7. 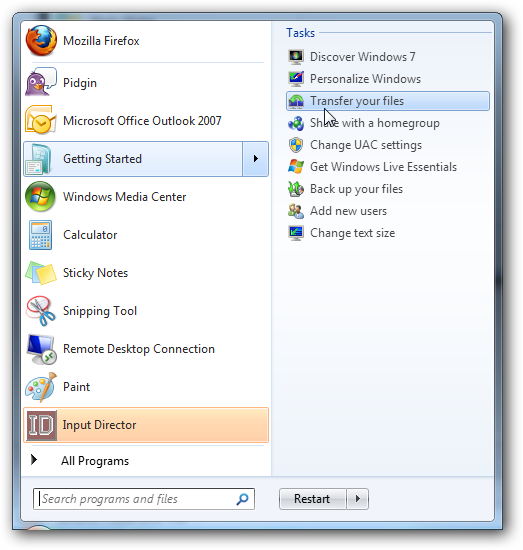 Starting with the Windows 7 machine open the Start menu and go to Getting Started and under Tasks click “Transfer your files”. Click through the welcome screen and choose the method for transferring the data…in this demo we’ll use a network connection. Next select that this is the new computer. The next screen click on “I need to install it now”. 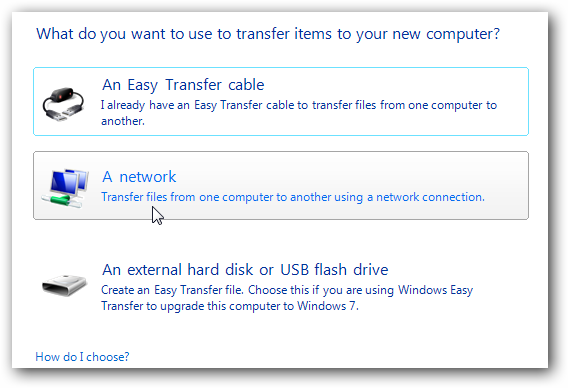 Choose a network or external drive to install the latest version of Easy Transfer. 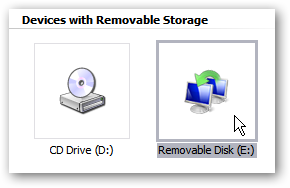 If you use a flash drive a freshly formatted one is recommended as it installs Windows Easy Transfer like a portable app which runs directly from the drive. The next screen prompts you to go to the old computer, start up Easy Transfer and run through the wizard until you get a transfer key. Now on the XP machine run Easy Transfer from you flash drive. A progress screen will be displayed while it starts up and produces the transfer key. 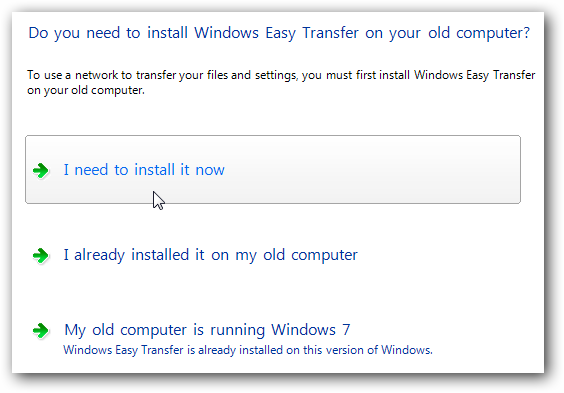 Enter in the transfer key from the old machine on the new Windows 7 and hit Next. It will scan the old computer and determine what can and cannot be transferred over. When done you can select the general settings and files from all the accounts on the machine. 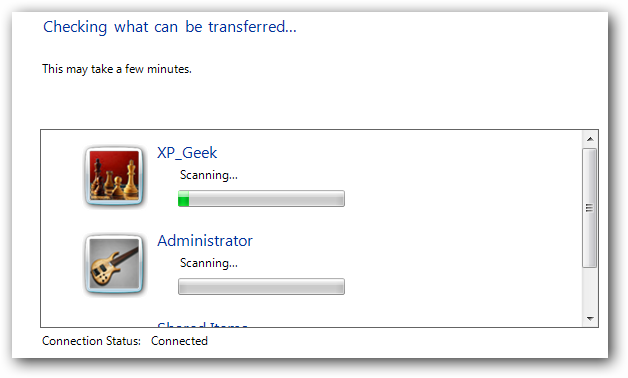 Click on Advanced to get a detailed explorer view so you can specifically select what to transfer over. 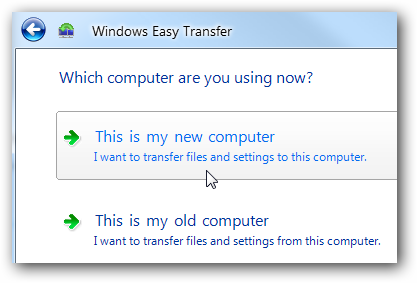 When you’ve decided what to transfer then click Save and then transfer it over. The amount of time it takes will depend on how much you’re transferring, speed of the network, etc. 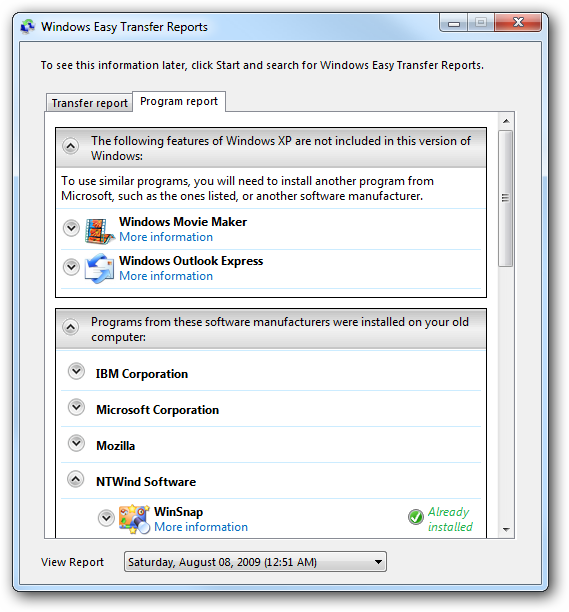 When it is all complete you can view the transfer and program report which shows the files and settings transferred and also what programs are or are not compatible with Windows 7. To finish the process a Restart is required. 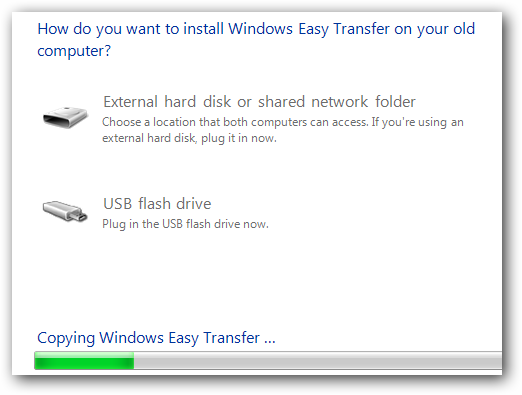 Windows Easy Transfer can be downloaded for XP and Windows 2000 from their site but you might want to use the process shown above as it supplies the latest version of Windows Easy Transfer. We ran into a problem with running the downloaded version which was installed on XP and was not compatible with the Windows 7 version. 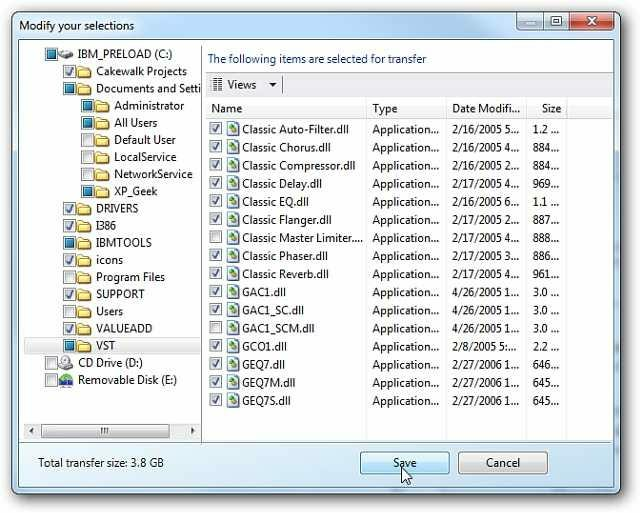 Not all programs and settings are going to transfer to your new OS but this definitely makes it easier to transfer compatible program settings, your files, folders and important documents.